Possibly the best fifty cents you’ll ever spend is a look inside the Duquesne Incline’s machine room. At 135 years old, it is the oldest cable car operation in the United States, predating San Francisco’s trolley system. The Incline now runs on electricity instead of steam, but much of the machinery is unchanged from the original 1877 design. In 1962 the Incline closed, but community efforts raised money to repair and reopen it by the following year. Although officially owned by the local Port Authority, it is leased to the non-profit Society for the Preservation of the Duquesne Heights Incline for $1 per year (the Port Authority donates this dollar back each year). My favorite part is the “130 pairs of removable wooden teeth” for the drive gear, and the tool display off to the side that shows an original template used to hand-cut replacements! There is also a penny press designs of the gears! My friend paid an extra $0.51 to make me one. 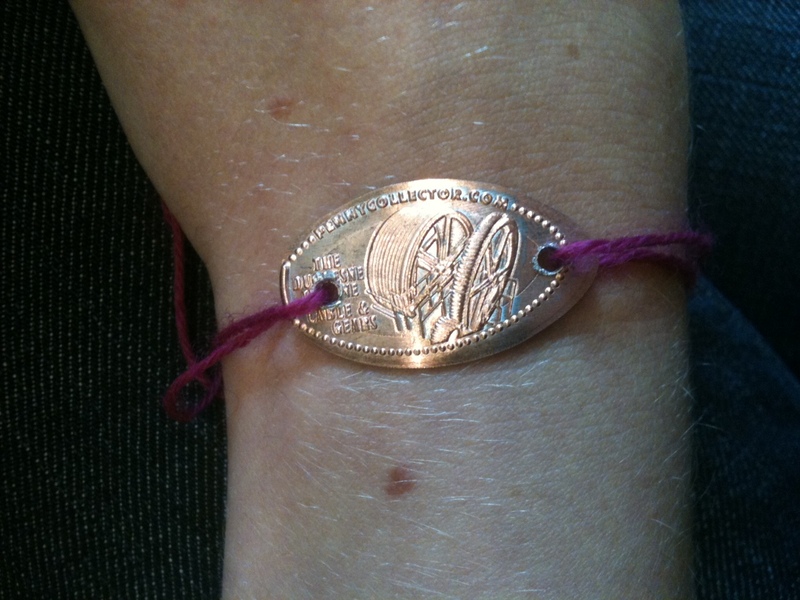 I drilled holes in to make a bracelet since what else am I going to do with a curved decorative penny? I plan to replace the string with a bit of chain, so that it looks nicer. The machine room is accessible through the Mount Washington stop at the top of the Incline.